Air Pollution: Govt inaction ‘disgusting’, Top Court sets Jan 1 as emission deadline, Coal plants to dodge norms? Air pollution is set to rise, and in 2 days Delhi’s air quality may worsen by three times over safe standards. That’s the forecast weeks after the capital’s air became the worst in the world. Evidence suggests accurate forecasts are key to fighting smog, even as governments reach out or skirmish over schemes, including public transport. Meanwhile, the Supreme Court has rejected pleas from coal plants seeking permission to continue using the now banned furnace oil. The court said other states and union territories too must consider banning furnace oil and pet coke altogether, rather than merely ending pet coke import. Coal plants to dodge emission norms for 5 more years? The Govt. has been blamed for not implementing emission norms for over 2 years. The ‘disgusting’ inaction has invited censure from top court that has set January 1, 2018 as the date for emission standards to become the law for industries. While the Centre has absolute powers to shut down or stop polluting industries anywhere in the country, it has instead, experts say, given tax advantage to the filthiest of fuels and plans to extend the emission deadline for coal plants by another 5 years. 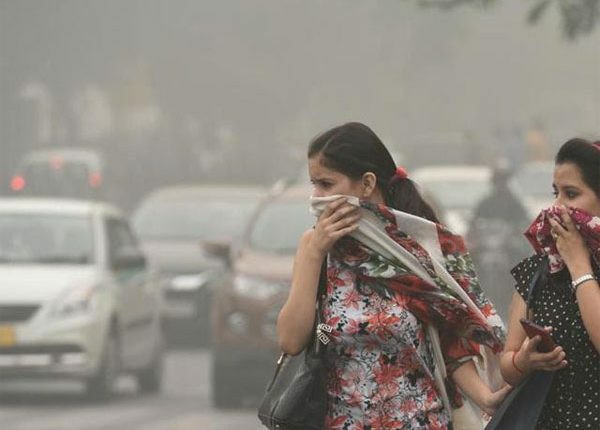 As per the Central Pollution Control Board Air Quality Index, Delhi (346), Gurgaon (350), Lucknow (392) and Ghaziabad (390) and Moradabad (378) are among the most polluted cities in India.